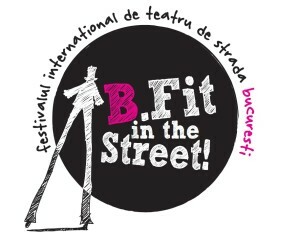 The 5th edition of the International Festival of Street Theatre in Bucharest - B-FIT in the Street! Four days of street theatre in the following locations in central Bucharest: George Enescu Sq., Old Town, Universitate Sq., Cismigiu Park and all the main boulevards. This edition brings over 15 troupes from 6 countries. "B-FIT in the Street 2013" Festival in Bucharest. You can get here description, reviews, address, time and details of "B-FIT in the Street 2013" Festival in Bucharest. Visit Bucharest Tips for more Festival events in Bucharest!